Counter top brochure holders? 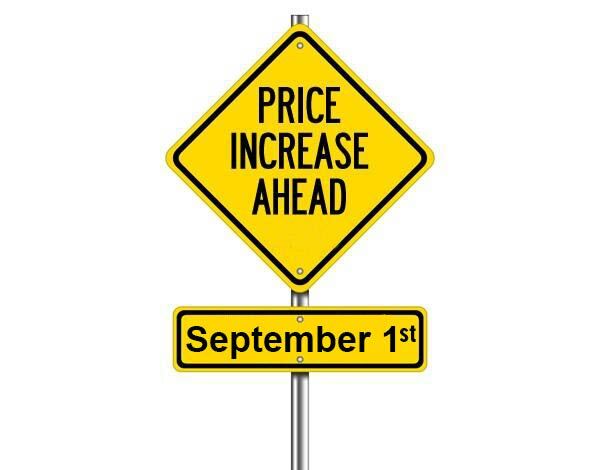 These great ranges at these prices are hard to pass up! 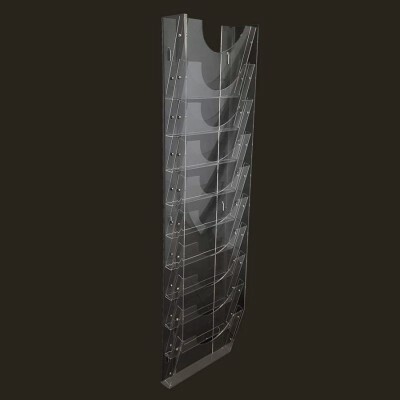 Whether you are a large retailer or a small shop, anyone will benefit from the use of a brochure holder. 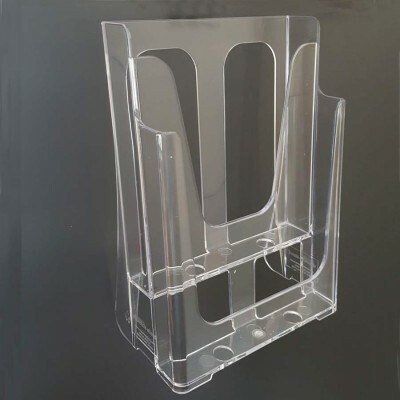 Marketing material is just the beginning to making a point of difference in your shop and with these acrylic holders; you will be on the road to being a marketing success. 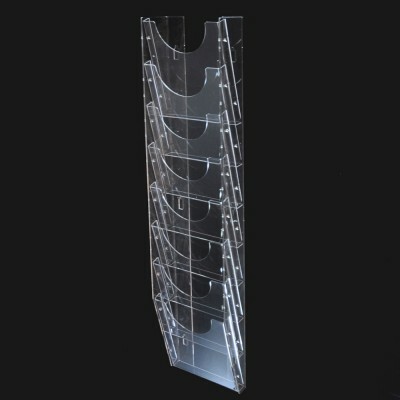 Brochure holders can help make that final impact on your customer and your return customer rate. Build a great clientele that will look forward in anticipation for your next brochure. 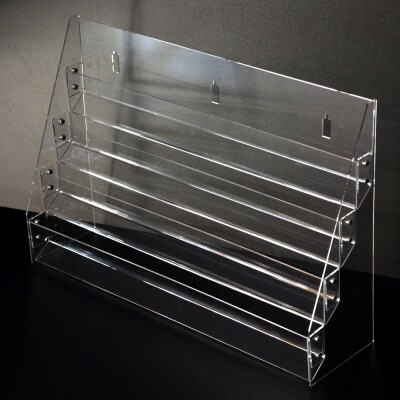 To begin with, our plastic brochure holders are made of acrylic. 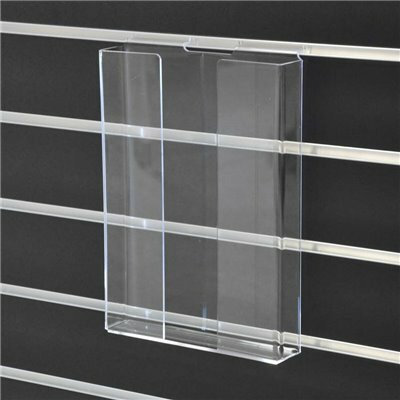 They’re one of the most durable acrylic holders on the market. And the more you order, the cheaper the price. 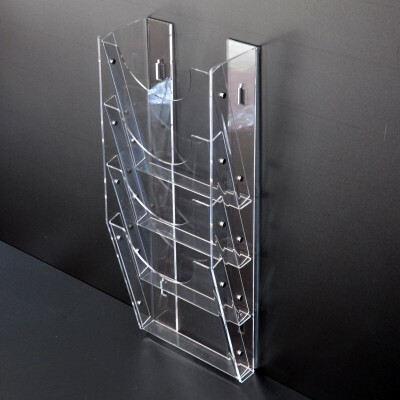 Having these holders will organise brochures neatly and display your marketing material in an accessible way. Just refill when stock is low and then you can set and forget. Working behind the counter will allow you to do the job and not worry about their counter becoming a mess of paper and brochures. 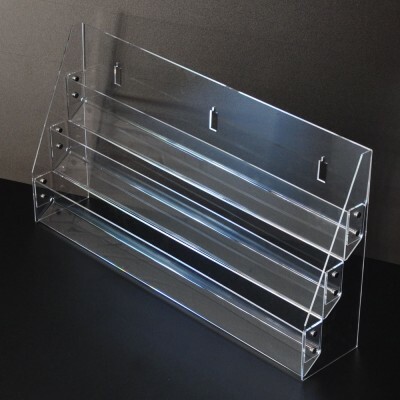 Another advantage of using acrylic holders is that they are clear plastic which means more visibility for you brochures; this will effectively give your shop an added point of interest. Remember to keep stock ready for your brochure holder because they are bound to fly out the door when propped in the holder for maximum visibility. 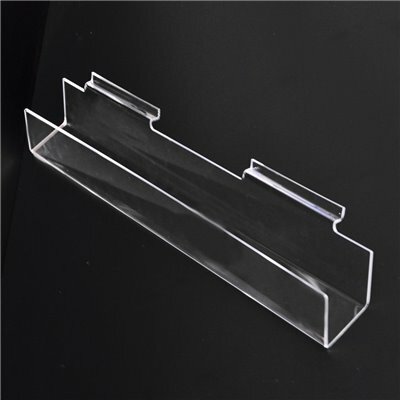 Available in DL, A5 and A4 sizes DL 117 x 270 x 30 mm A5 160 x 270 x 30 mm A4 360 x 228 x 36 mm Made of 3 mm thick clear acrylic. - Wall-coverage: 760mm (H) x 225 mm (W). - Depth-at-bottom: 140mm. 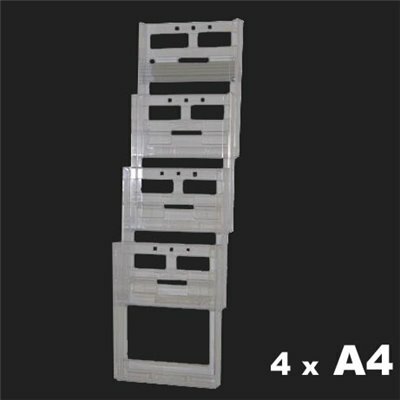 - Whats-included:Kit comprises of 4 A4 brochure holders. 1 base brackets supplied. Aluminium wall bar 225mm- Material: Made from clear high impact polystyrene. - Wall-coverage: 760mm (H) x 450 mm (W). - Depth-at-bottom: 140mm. 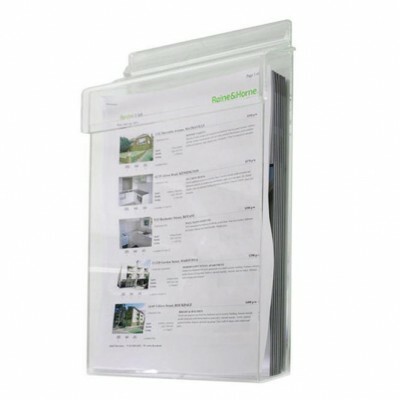 - Whats-included:Kit comprises of 8 A4 brochure holders. 2 base brackets supplied. Aluminium wall bar 450mm- Material: Made from clear high impact polystyrene. - Wall-coverage: 760mm (H) x 900 mm (W). - Depth-at-bottom: 140mm. - Whats-included:Kit comprises of 16 A4 brochure holders. 8 base brackets supplied. Aluminium wall bar 895 mm- Material: Made from clear high impact polystyrene. - Wall-coverage: 680mm (H) x 450mm (W). - Depth-at-bottom: 140mm. 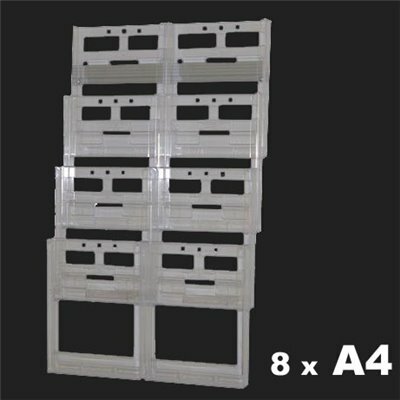 - Whats-included:Kit comprises of 8 DL and 4 A4 brochure holders. 4 base brackets supplied. 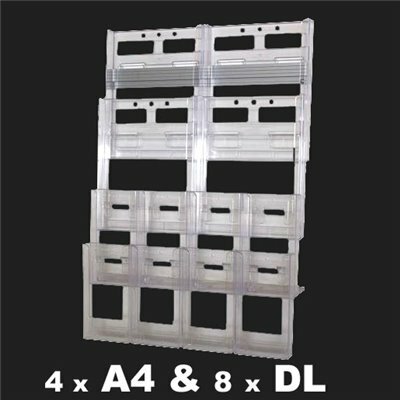 Aluminium wall bar 450mm- Material: Made from clear high impact polystyrene. - Wall-coverage: 760mm (H) x 900 mm (W). - Depth-at-bottom: 140mm. 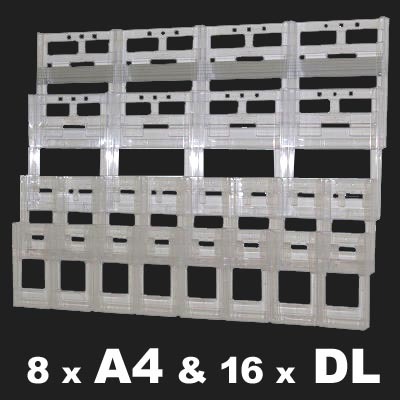 - Whats-included:Kit comprises of 16 DL and 8 A4 brochure holders. 8 base brackets supplied. Aluminium wall bar 895mm- Material: Made from clear high impact polystyrene. - Wall-coverage: 560mm (H) x 450 mm (W). - Depth-at-bottom: 140mm. 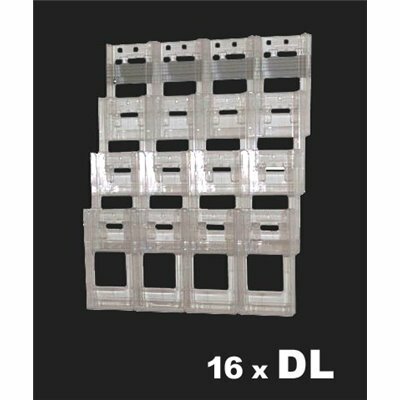 - Whats-included:Kit comprises of 16 DL brochure holders. 4 base brackets supplied. 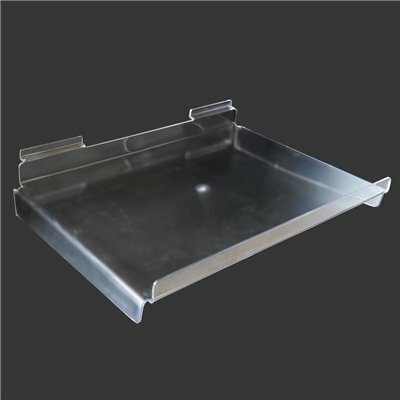 Aluminium wall bar 450 mm- Material: Made from clear high impact polystyrene. - Wall-coverage: 560mm (H) x 900mm (W). - Depth-at-bottom: 140mm. 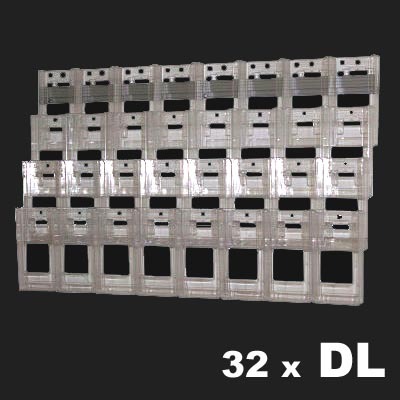 - Whats-included:Kit comprises of 32 DL brochure holders. 8 base brackets supplied. Aluminium wall bar 895mm- Material: Made from clear high impact polystyrene. - Wall-coverage: 560mm (H) x 900 mm (W). - Depth-at-bottom: 140mm. 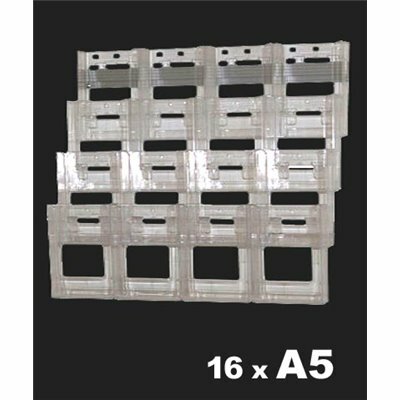 - Whats-included:Kit comprises of 16 A5 brochure holders. 8 base brackets supplied. Aluminium wall bar 895 mm- Material: Made from clear high impact polystyrene.